Video, lighting, graphics and sound work as one to paint the David L. Lawrence Convention Center’s “Spirit of Pittsburgh” Ballroom every shade of and hue of the spectrum. 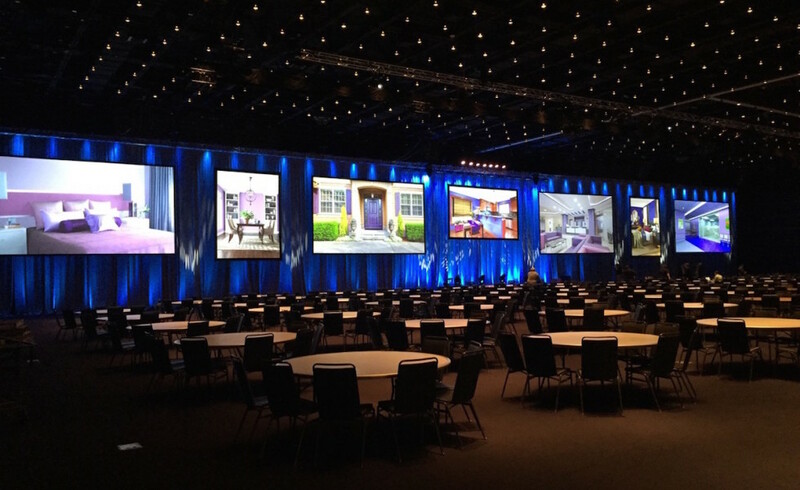 Three Rivers Entertainment work closely with the client to create a visual buffet that pulled beautiful graphics and video along a wall of HD screens of every variation and size. As video converged over the canvases from left to right, the lighting matched and punctuated the theme colors, while audio accented the mood. Attendees were amerced in the content with all of their senses. With so many variation of screens, the content, along with three cameras capturing every angle of the event, spectators missed no detail of the experience. The set was rigged and flown with audio, video and lighting. Colorful up lighting washed the walls and backdrop to denote and define the space. In-Tent on having a romantic evening? Start here!